As marketers, our goal should always be to meet our customers where they are. As much as we may want to establish and control the parameters of every interaction, it doesn’t work that way. Greater success lies in letting the customer dictate how and where the conversation takes place. Today, the preferred medium across the board seems to be texting. People—and not just younger generations—seem almost allergic to using an actual telephone these days. You can test this theory by trying to order a pizza in a room full of adults and watching people, one by one, claim “not it” on making the call! Why does texting appeal to us so much? It’s easier, for one. It’s less intrusive and time-consuming. You can multitask while texting in a way you can’t while talking on the phone or composing an email. And, if done properly, it’s an effective channel through which to conduct business. 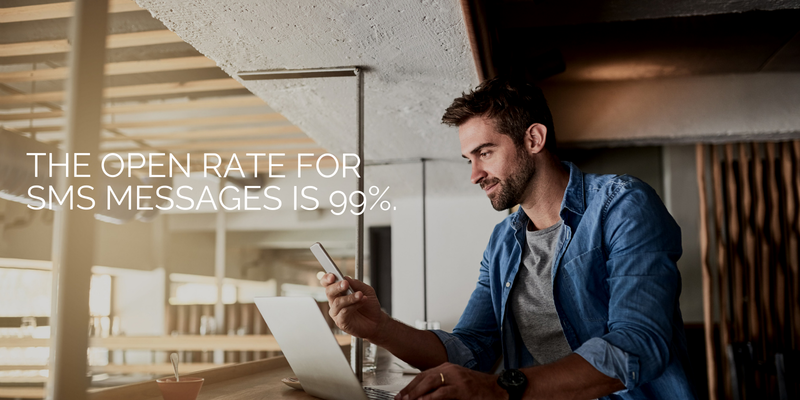 The open rate for SMS messages—99 percent—is simply staggering. Beyond that, it’s almost instantaneous; 90 percent of texts are opened within three minutes of receipt. In a world full of endless traffic and noise, texts seem to be one of the few ways to break through consistently. They’re certainly harder to shrug off than an email or voicemail. So how can you leverage SMS for your business? First off, you’re going to need to figure out how to enable text functionality through your office or business landline. Thankfully, our friends at Podium can help you with that. It’s not a long or laborious process, but it’s not one you can easily do on your own either. I recently presented a webinar on this exact topic — check out the recording for 5 Ways Your Business Can Get More Customers by Texting Them, sponsored by Podium. Once you have that set up, plaster your number everywhere. Put it on your website, any business listings, signage inside your brick and mortar location(s), your email signature—you name it! Make sure people know they can text you at that number, and then take a peek at the tips below on how you can utilize text messaging to land—and retain—new customers. You’ll make their lives easier—and they’ll love you for it. Using text messaging to set up appointments (and send reminders for those appointments) can significantly reduce your no-show rates. The immediate nature of texting will help your customers keep their appointments and bookings top-of-mind. Plus, it maximizes your employees’ time. Fewer no-shows and fewer reschedules mean your team can function at optimal capacity and speed at all times. All customers have questions. New customers are bound to have even more. Being able to directly text you removes the barrier of hesitance for many of them. 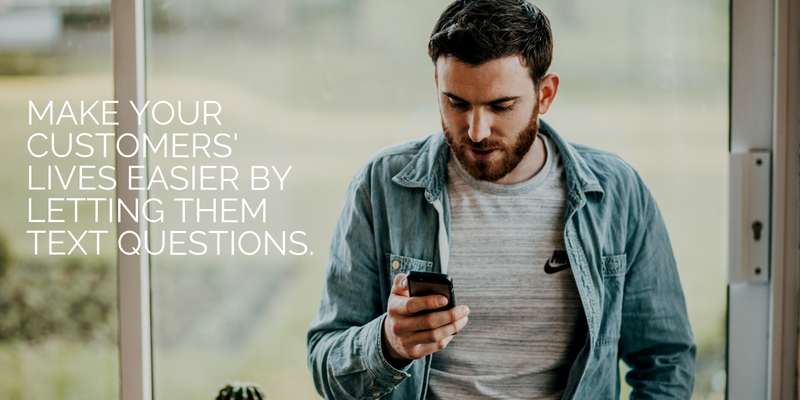 They’ll ask the simple or small questions via text that they wouldn’t want to bug you with on the phone. Or they’ll ask time-sensitive questions that they normally wouldn’t ask via email because they don’t have time to wait for a reply. This is especially useful for things like in-stock inventory inquiries. You might not think that getting your customers to spend more money with you would improve their satisfaction level, but it’s true! Texting allows you the chance to upsell in a natural, organic manner. When it makes sense, you can offer customers add-ons and upgrades to their existing purchases with a quick text. You’ll make a little extra cash, and you’ll be able to offer tailored products and services to your customers to increase the overall value of their experience. Emails can get lost in the shuffle. There’s no telling how many are languishing in inboxes now, never to be opened. Go ahead and replace those long, boring satisfaction surveys with short and snappy SMS-based ones. Podium’s customers have seen a 26 percent improvement in NPS scores when using Messenger. Amazing! People are so much more likely to respond to a quick text asking them to rate their experience on a scale of one to 10 than they are to click through a three-page online survey asking them to write essays. Using SMS for feedback is a no-brainer. Customers are going to have issues sometimes; it’s an unavoidable reality. 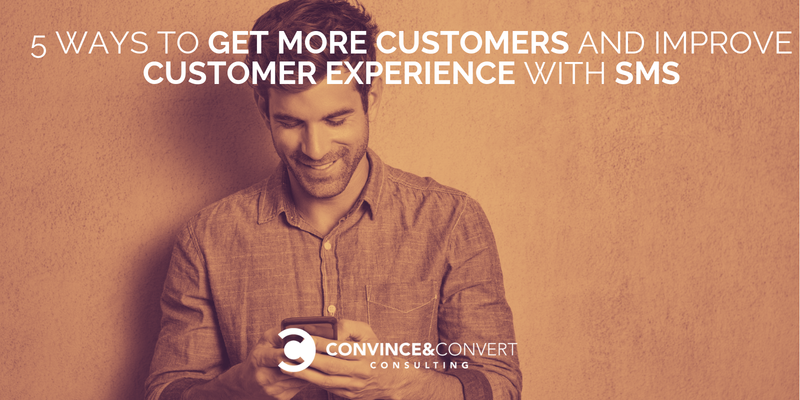 But not every customer’s problem requires a long phone call or a dozen emails back and forth. General, quick questions can be answered simply via text. You can also attach photos to your texts easily if needed. Need to reschedule? No big deal. With text, it can be done in minutes. It’s this immediacy and ease that will help you nip problems in the bud before they get out of hand. These are just a few of the many ways that building texting into your customer service plan can boost your business. 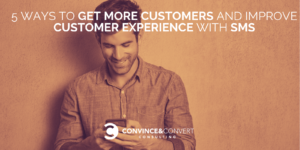 And it all works easily when you have a unified customer interaction platform. Podium can help you get that. Their system consolidates all of your text interactions into one dashboard that’s easy to navigate and manage, just like an email inbox. Having this kind of platform is essential, as it protects you from having conversations on personal devices (which is a seriously bad idea). It also assigns conversations to the appropriate team members so that they’re always handled promptly and with an expert hand. Podium gets everyone on the same page internally and ensures that the messaging experience remains cohesive for your customers across the board externally. If you’re honest with yourself, you would probably admit that you prefer texting to calling or emailing. If that’s the case, why not offer that option to our customers? Let’s get with the times and make sure we’re going where consumers want us to be. There are tools out there to help you make the jump fluidly, so get a move on. Get Instant Access to the Entire Recording of 5 Ways Your Business Can Get More Customers by Texting Them now.